For democracy to work, voters have to be informed. One problem for citizens today is that it isn’t easy to navigate the vast sea of information available. With so many new sources for news, how can you tell what’s good information and what’s the work of shysters? 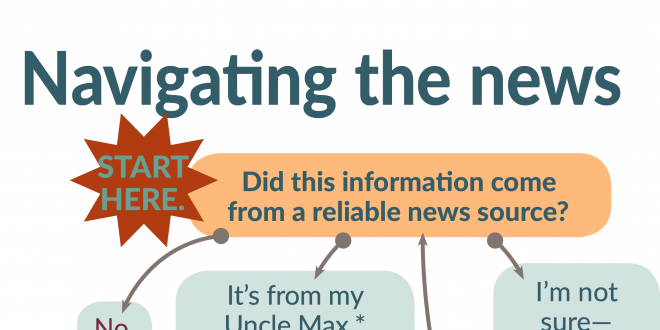 Here’s our brief guide to learning this increasingly important skill called news literacy. Source: Center for News Literacy at Stony Brook University. The center has a full course that teachers can use to teach news literacy, using examples from the 2016 presidential campaign. Find it at drc.centerfornewsliteracy.org. Previous: Quiz: How much do you know about … VOTING? Next: Voting is easy. Really.